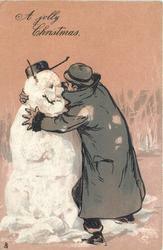 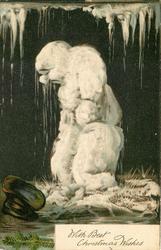 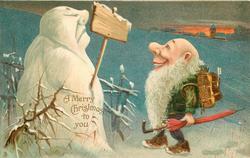 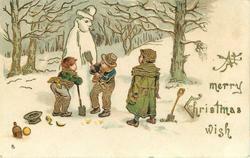 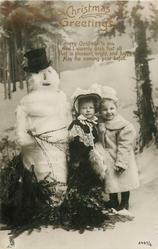 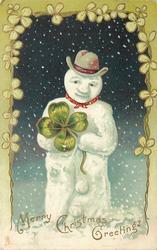 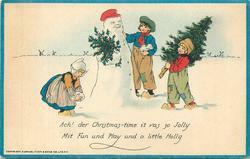 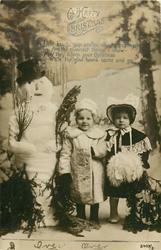 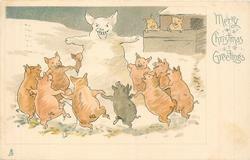 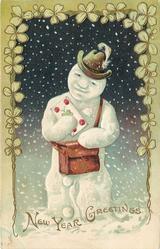 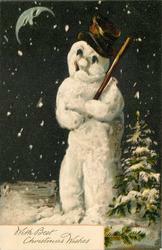 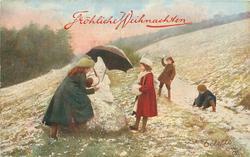 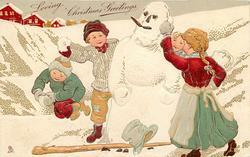 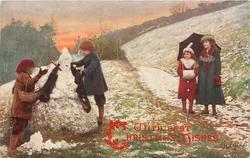 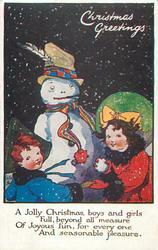 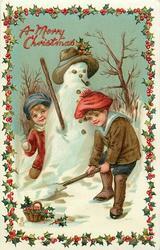 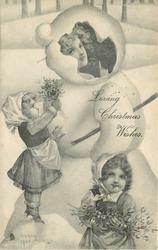 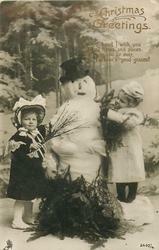 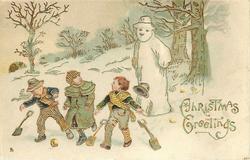 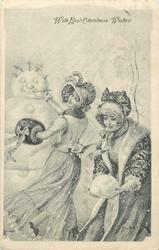 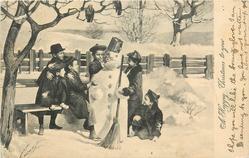 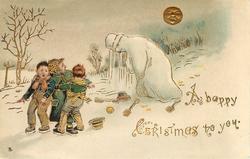 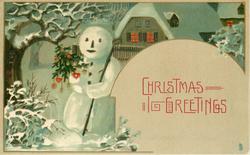 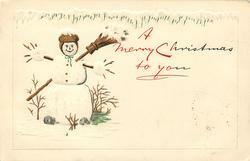 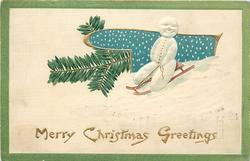 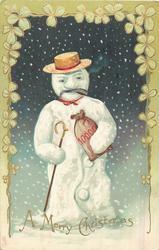 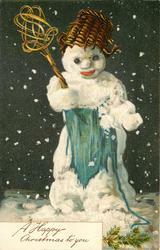 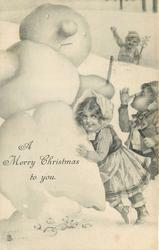 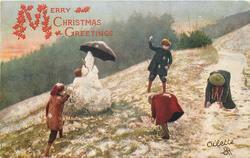 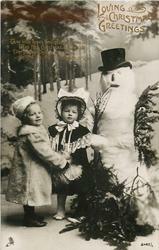 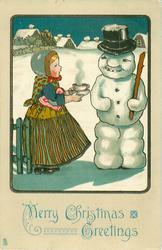 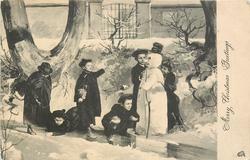 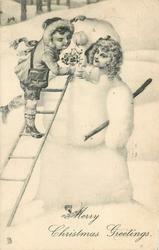 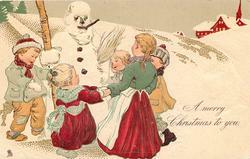 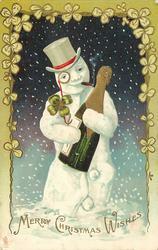 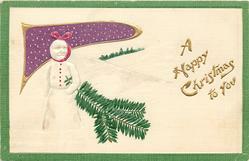 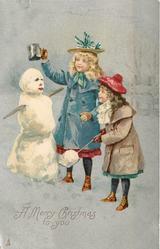 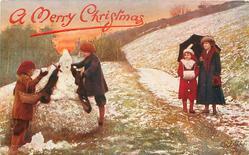 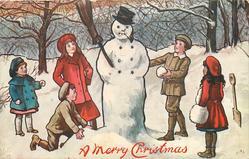 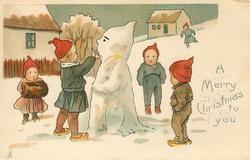 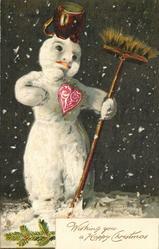 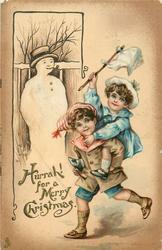 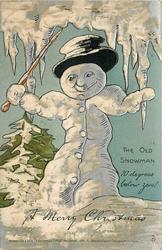 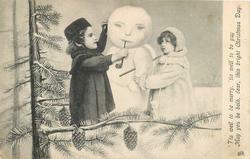 verse: A JOLLY CHRISTMAS, BOYS AND GIRLS FULL BEYOND ALL MEASURE OF JOYOUS FUN, FOR EVERY ONE AND SEASONABLE PLEASURE. 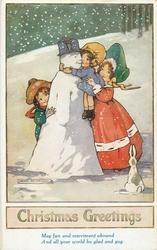 verse:- LIGHT HEARTS, GAY SMILES, WARM GREETINGS ARE THE CHEERIEST THINGS I KNOW- MAY THEY ADORN YOUR CHRISTMAS WHILE THE GLAD HOURS COME AND GO. 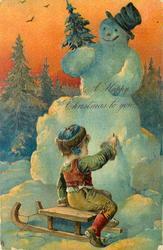 verse:- A LIGHT HEART I WISH YOU AT ALL TIMES AND PLACES AND MAY YOU BE EVER, IN FORTUNE'S GOOD GRACES! 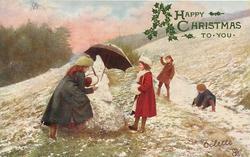 verse:- A MERRY CHRISTMAS TO YOU AND I WARMLY WISH THAT ALL THAT IS PLEASANT, BRIGHT, AND HAPPY MAY THE COMING YEAR BEFALL. 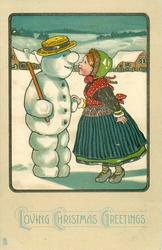 silver embossed, u/b, DESIGNED IN ENGLAND, CHROMOGRAPHED IN SAXONY, i.n.